Capacitors are electronic devices that have two conducting surfaces (plates) separated by an insulator (the dielectric). They can store an electric charge temporarily. The only type of capacitor that is polarized (works differently depending on which way the current is flowing) is the electrolytic capacitor. Electrolytic capacitors have higher capacitance, but for most purposes, the non-polarized capacitor is preferred. They are cheaper, can be installed in either direction and last longer. Ceramic capacitors are the most common type of non-polarized capacitor. They are a well-tested technology and the cheapest kind of capacitor. The oldest style (dating back to the 1930's) is disk shaped, but the newer styles are block shaped. They work well in radio frequency circuits and the newer models work in the microwave range. They are available in the 10 picofarad to 1 microfarad range. They have some leakage (across the dielectric) and their performance and temperature stability varies depending on the manufacturer. Silver Mica Capacitors are infrequently encountered--mostly because they are relatively expensive. They are very stable and temperature tolerant. They operate in the 1 picofarad to 3,000 picofarad range and have very little leakage. 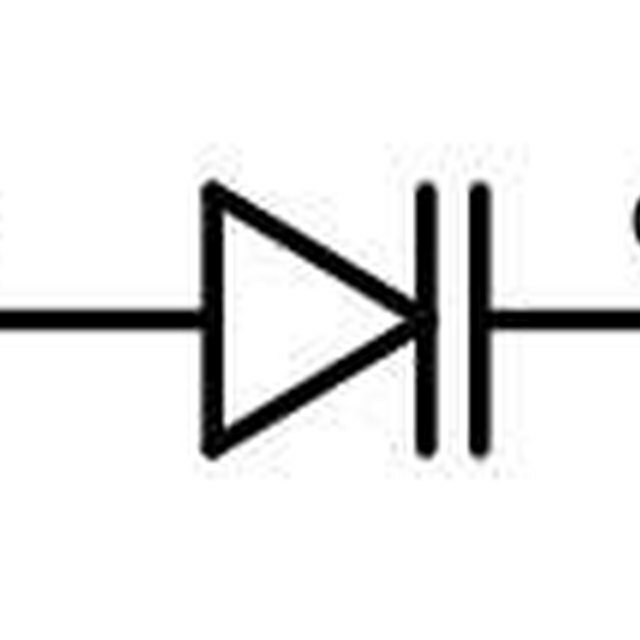 They are used in oscillator and filter circuits and whenever stability is essential. Polyester capacitors are also known as Mylar capacitors. They are inexpensive, accurate (they have the exact rating that is marked on them) and have little leakage. They operate in the 0.001 microfarad to 50 microfarad range and are used when accuracy and stability are not so important. Polystyrene capacitors are very accurate, have little leakage and are used in filters and other places where stability and accuracy are important. They are relatively expensive and operate in the 10 picofarad to 1 microfarad range. They are widely rumored to be going off the market, so they are appearing less and less in circuit designs. Polycarbonate capacitors are expensive and very high quality, with high accuracy and very low leakage. Unfortunately, they have been discontinued and are now hard to find. They preform well in harsh and high temperature environments in the 100 picofarad to 20 microfarad range. Polypropylene capacitors are expensive and high performance capacitors in the 100 picofarad to 50 microfarad range. They are very stable over time, very accurate and have extremely low leakage. These are the most stable capacitors available. They are extremely accurate and have almost no leakage. 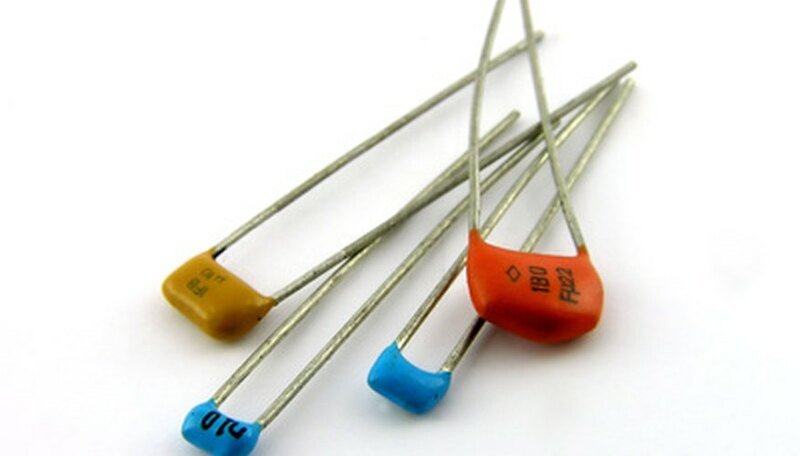 They are widely considered to be the best all around capacitor available. Of particular note is the way they behave exactly the same over a wide range of frequency fluctuations. They operate in the 100 picofarad to 1 microfarad range. Glass capacitors are very tough and the capacitor of choice for harsh environments. They are stable and operate in the 10 picofarad to 1,000 picofarad range. Unfortunately, they are also the most expensive capacitor. What Materials Are Capacitor Plates Made Out Of? Mano, Carlos. "Types of Non Polarized Capacitors." Sciencing, https://sciencing.com/types-non-polarized-capacitors-7600369.html. 24 April 2017.